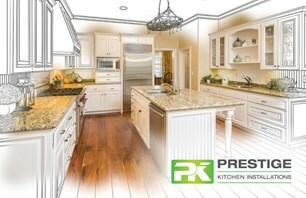 Prestige Kitchen Installations - Kitchens based in Addlestone, Surrey. I offer a complete kitchen fitting service, from help with design, through to purchase and installation, and tiling splashback areas to finish the look. Have you purchased a kitchen from one of the well known suppliers? I may well be cheaper than their in house fitters... Give me a call for a quote! Based in Addlestone, Surrey. covering most of Surrey and south west London.